Retailers often cannot afford to radically overhaul their IT systems. Nor do many have the time for daily attention to IT when there is so much more that needs to be done: stock-management, inventory, pay-roll, marketing, ordering and supplies. As long as the trusty software, tucked away on a server in the back-office cupboard, keeps beavering away, then you need not worry. If it ain’t broke, don’t fix it – right? Upgrading backroom IT represents an expensive capital outlay that an independent retailer may choose not to budget for. But not upgrading might pose unacceptable risks. In July this year for example, Microsoft ended its support for the long standing Windows Server 2003 Operating System, powering large numbers of servers in the back offices of businesses across the country. Not only will the lack of support ultimately lead to system vulnerabilities, it will also gradually expose businesses across the country to risk, downtime and lost revenue. If you accept and process credit card payments for instance, then credit card processors may refuse to indemnify you for any losses if your Operating System is out of date. Failure to run a supported software platform could be a costly mistake. Upgrading backroom IT may represent an expensive capital outlay and disruption that may not have been budgeted for. But not upgrading can result in unacceptable risk. The most expensive IT upgrade is one that happens in a crisis: it’s always better to have a proactive plan than to suffer the pain of a reactive panic when systems go wrong. Even the largest of organizations, with hundreds or even thousands of local branches and franchises may have premises with IT that is hard to keep up-to-date, and may be dependent on software or hardware that is out of support. Having branches throughout the country, often with different ages and versions of IT infrastructure can make it expensive to keep all of those distributed systems up and running – systems those branches depend on every day. ‘The Cloud’ can overcome some of these issues – the hardware is someone else’s problem (and in someone else’s data centre), as is the problem of keeping some of the software up to date – but not everything fits this model. For reasons of network performance, cost, security and control, most businesses are moving to a ‘Hybrid’ model, where some IT is run on-premise, and some in the cloud. The right blend offers the best of both worlds. With hybrid IT as-a-service all aspects of the on premise hardware and software can be managed simply, consistently and kept up to date automatically. And all without upfront capital expenditure. An IT provider installs the new solution, and can then manage them centrally. Backups are in the cloud, drivers, operating systems and software applications are kept up to date and consistent across all sites. OS systems upgrades, small or large, are simply and transparently handled behind the scenes. As an independent retailer, you can also pay a monthly rental fee –like buying a mobile phone contract – to give the attraction of a contracted OPEX model that covers all hardware and software. It is a monthly service that can be adapted whenever you wish. 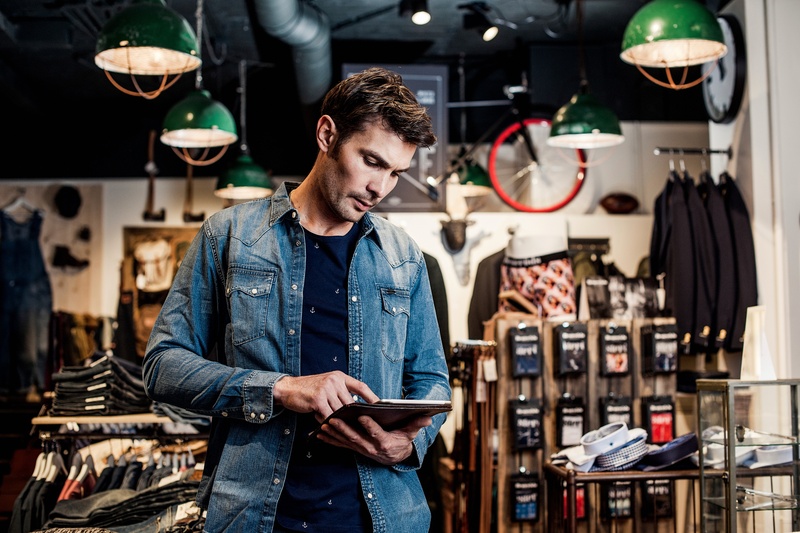 It is the IT solution for the modern business, and how IT should be for retail. Find out how MADE.com improved their IT to support their business growth.